Because their greatest rise paralleled the expansion of MTV, and their appearances in the Top 10 between 1980 and 1984 was nearly uninterrupted, Hall & Oates have been confused for a mere singles act. Their meteoric ‘80s also caused some folks to overlook that they’d been cracking the charts since the mid-‘70s, and that their work directly before their breakthrough album Voices contains some difficult, experimental and adventurous work. Finally, Hall’s boyish good looks and Oates’ superhuman moustache made many believe they were nothing but production values and pastels. It’s the singles-act thing that probably misleads most people; as instantly as they remember “You Make My Dreams” or “Private Eyes,” almost no retroactive thought is given to the albums that contained them. But who would consider doing a comprehensive review of Hall & Oates’ albums? It could only be a self-confessed Hall & Oates junkie and introverted musical savant, someone so possessed with their long-playing output that he’s frequently the only one in the room to talk at length about Hall & Oates’ album output, and that’s usually to the wall. A Hall & Oates album fan is a loner among loners, undeserving of much consideration, questionable in his place in society, ruminative and disquietingly obsessive, invited to office functions only because it’d be rude to exclude him, and overdrawn from wearying, half-awake nights ruminating over pop music’s most-forgotten artifacts, the full-length Hall & Oates albums. You know, someone like me. I’ve followed Hall & Oates fairly closely since I was a kid. If I was born a year or two later I might have hated them like all my friends did in high school, but I didn’t. There hasn’t been a moment since I first started hearing Hall & Oates that I haven’t defended them – sometimes unnecessarily – and up until the ‘90s there wasn’t an album of theirs I hadn’t heard. 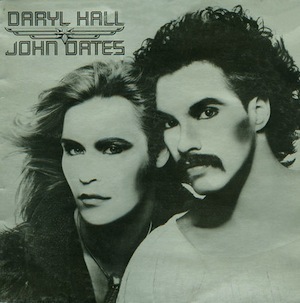 Especially in their leaner, late ‘70s years, Hall & Oates were always album artists to me. So this CTC feature covers all their studio releases – not including their last two, which were a covers record and a Christmas album – which I listened to afresh in sequence earlier this year. That’s 16 albums. Hearing them again in context made for some revised ratings on my part, some up, some down. And one reassurance that they’ve made one of my favorite albums of all time. More than anything, I hope this feature convinces you of two things: (a) Daryl Hall & John Oates were versatile, experimental, talented album artists, and (b) Treble really needs to come up with some sort of mental health assessment for its freelancers. Here we go (clap). Enjoy the feature (clap clap). Whole Oats relies on a delicacy that carries all the signs of not wanting to paint too forceful a character. They’re still wide-eyed kids in golden wonder who you could mix up with other neophytes at the time. Named after the duo’s original, wisely-changed moniker, Whole Oats is a new group trying to see what fits, and in more than one place you can hear direct references to other music happening in 1972: Elton John, Joni Mitchell, early Philly soul like the Delfonics. Legendary Atlantic staff producer Arif Mardin creditably kept Whole Oats fairly unified, but it’s still their most easy-to-overlook album. 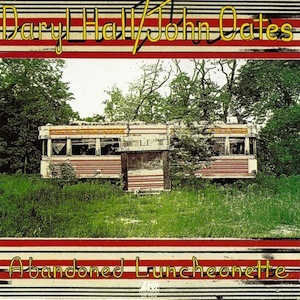 Even Hall & Oates felt that their next, 1973′s Abandoned Luncheonette, was their true debut album. Whole Oats merely culled the best songs they had on hand at the moment. Two Hall ballads are unlike anything he’s done since. “Georgie” is a Faulknerian (I know, but it is) story of teenage romance cut short by a classically Southern Gothic tragedy. The sagely edited details are just enough, including an extrinsic but symbolic accordion. 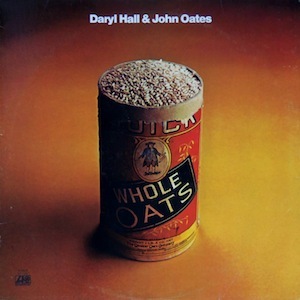 And despite being fragile to the point of disintegration “Waterwheel” is Hall & Oates’ most beautiful song, a tender account of a rear-window boyhood that makes as strong an emotional connection as anything they did. The album slows down too much in its second half, but in all Whole Oats is a sensitively generous first step. Abandoned Luncheonette was their true arrival and the favorite of many in the H&O throng. Hall’s voice has the confident spring he’s now known for, and Oates is every step his equal. There’s better camaraderie, the solvent being H&O’s unpredictable tandem vocals and producer Arif Mardin’s even-handedness. What Abandoned Luncheonette displays in preciousness is compensated for by a natural cohesion. “Had I Known You Better Then” and “Las Vegas Turnaround” are saved from over-cuddly-ness by Daryl & John’s floating harmonies. Oates’ “I’m Just A Kid (Don’t Make Me Feel Like A Man)” pairs a double-edged rom-com starring a challenged pickup artist with soft touch. 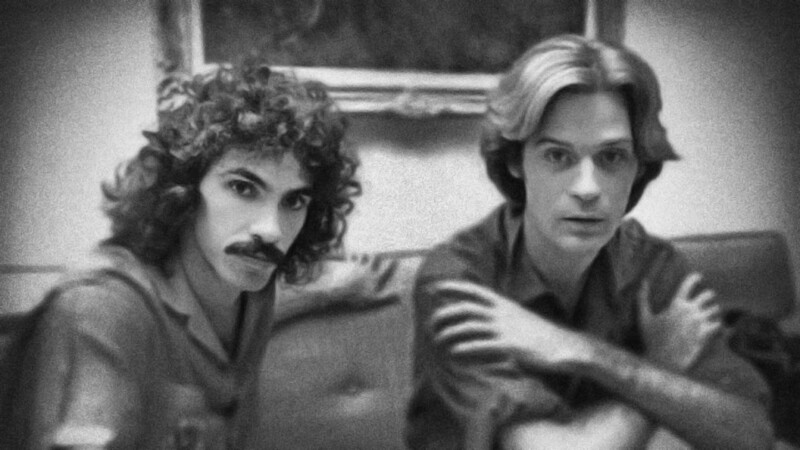 Hall & Oates’ first moment of transcendence was “She’s Gone,” one of the seventies’ best breakup songs. The lyrics are oft overlooked, with compelling swatches of urban tedium and trying to maintain cool realism while taking it in the gut. Every punch lands — the contrasting vocals, the old-school Philly arrangement, even the hilarious chromatic build-up to Hall’s upper-register howl that’s H&O’s own “Won’t Get Fooled Again” moment. Hall’s title track is an ambitious time-traveling portrait of a now-settled couple at mortality’s foyer. “Abandoned Luncheonette” moves from Abbey Road pop to big band to soul gospel in three strokes. Hall’s empathy and detail makes one wonder why he didn’t do more third-person character studies. The panorama is even more appreciable when you realize he wraps it up in four minutes. Daryl and John were so confident that they even pulled off comedy gold with the closing “Everytime I Look At You.” The seven-minute marathon starts in hard funk mode, moves to slow-burn rock, fake-resolves in pop gospel, then speeds up and ends as a banjo-violin bluegrass jam. It’s a good elbow jab at the seemingly random pomp of progressive rock musicians at the time, or at least it sounds like a joke until you hear what came next. Then this happened. War Babies is cosmically disordered — a jolt of noise, paranoia and expanse, hurtling headlong into experimentalism like producer Todd Rundgren’s then-recent albums A Wizard, A True Star and Todd. Although H&O weren’t as determined to escape their pop pedigree as much as Todd was, War Babies still got them kicked off Atlantic Records. It’s practically a Hall solo album. Oates sings lead on the opener, then ducks out until a Billy Shears-like cameo on the last song. Hall’s songwriting ranks with his wildest, and when he’s paired with Rundgren’s over-venturesome production style, someone’s gonna lose an eye. War Babies begins in lurching self-assessment, with back-to-back numbers on the identity crisis of fame (“Is It A Star,” “Beanie G. and the Rose Tattoo”). “You’re Much Too Soon” launches Hall’s lothario persona in comically simplistic ways (“I love you/But I don’t love you”), and “70’s Scenario” is a eulogy for the boundlessness of the ‘60s and the TV dinner existence of the titular decade. The schizoid second half of the album somehow works. “War Baby, Son Of Zorro” describes the consumerist chaos of the Commie ‘50s in nonsense phrases (“Water ice, sleeveless fights, despot, yes I know/Angel eyes, Simoniz, yes I know”), but least Rundgren’s Jackson Pollack sound effects seem appropriate. “I’m Watching You (A Mutant Romance)” pairs futuristic voyeurism with music that jerks between ballad and rough rock stomp. “Screaming Through December” and “Johnny Gore and the ‘C’ Eaters” are the oddest couple of songs H&O ever put together, taking on mass groups not in control of their own destinies and weirdly self-destructive (“Faustus ate glass for an appetizer and bled all over his synthesizer”). If nothing else, War Babies should retire the notion that Hall & Oates were mere commercialists. They were listening close to what was going on around them and seeking ways to funnel it. That noble mission doesn’t totally make up for the mess of War Babies, but I give points for chutzpah here. 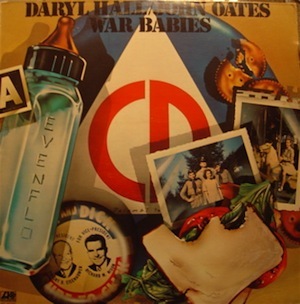 RCA signed Hall & Oates in 1975, presumably having it known they would not entertain any War Babies shenanigans from anybody in their camp except whoever did their makeup on the cover. Their eponymous fourth album is humble in a nearly apologetic way, following the form of mid-’70s albums from pop artists whose labels were trying to figure out just how much to invest in them. DH&JO is stripped down to its most essential production elements by producer Chris Bond. It’s more intimate than War Babies but more modernized than Abandoned Luncheonette. The first half of the album (by the way, H&O toyed with the concept of album sides as often as anyone – more on that later) fully visits their updated blue-eyed soul. “Sara Smile” was their first hit, and though you can measure its carefulness it’s a smooth and genuine romantic gesture with unexpectedly complex chord transitions giving it edge. “Nothing At All” is even better, with Hall’s crooning about an anticlimactic ending over drummer Jim Gordon’s quietly spastic snare rattling. 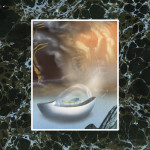 Oates’ “Camellia” and “Alone Too Long” fit in well, but they don’t hint at the surprises he’d soon pull off. Side Two, as they used to call it, has more of a steely rock feel, but again it’s not as dramatic a change as they’d eventually make. “Gino (The Manager),” a backhanded tribute to H&O’s then-showrunner Tommy Mottola, is driven by clavinet, Italian broadsides and a predictable but useful chorus (“Gi-no, NO, no-NO, no-NO, no-NO, no-NO!”). “Ennui On the Mountain” is a comic fantasy in which Hall pokes fun at the notion of the pop star as messiah (“What we need is a mountain in Montana/A thousand acre world for the roadies and the girls”). It’s a refreshing moment of humor in the midst of the decade that elevated every celebrity to divine status. The Silver Album was their lowest-key record excepting Whole Oats, and though it feels like a cautious reset it offers a lot to look forward to.